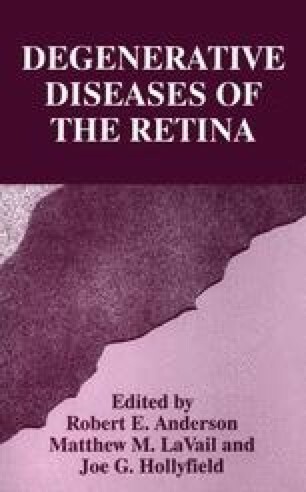 The pathogenesis of photic retinopathy has been actively investigated for many years. Although the exact pathogenic mechanism involved in light-induced photoreceptor degeneration remains unknown, certain hypotheses were made based on previous animal studies [1-8]. Free radical formation and lipid peroxidation are among the most widely accepted hypotheses regarding the pathogenesis of photic retinopathy [1-5]. In addition, possible roles for protein synthesis and alteration of intracellular Ca2+ concentration in light-induced photoreceptor cell death have been suggested [6–8]. Protein synthesis inhibitors, such as cycloheximide and Ca2+ channel overload blockers, such as flunarizine, were both demonstrated to have ameliorative effects on retinal photic injury [6–8]. These findings provided supportive evidence of the possible involvement of protein synthesis and alteration of intracellular Ca2+ concentration in retinal photic injury. However, the mechanism whereby these two factors ameliorated light-induced photoreceptor cell death was not determined.